I’ve have always loved to color. I remember laying on the floor of our family room with my mom as a kid while we colored together in coloring books. I was in awe of how pretty her coloring was and how well she stayed inside the lines 🙂 I think one of the reasons I love stamping so much is that I still love to color, the larger more detailed the stamp and the more coloring I can do the happier I am. 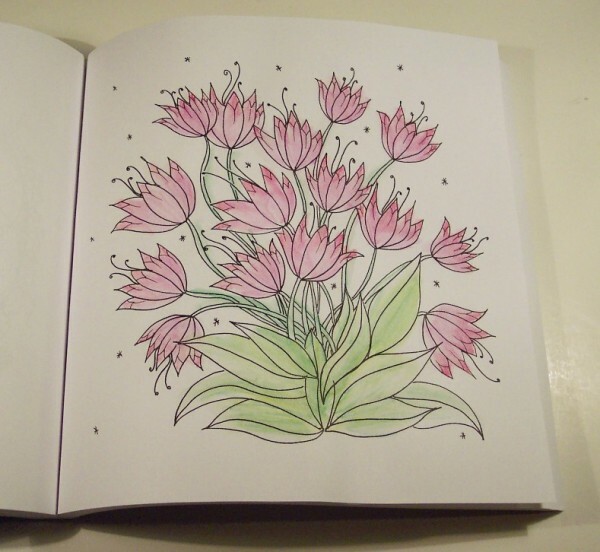 I find coloring very peaceful and relaxing. And I know there are lots of other adults out there who love to color too because there’s a big trend happening right now of coloring books being made just for adults who want to color. 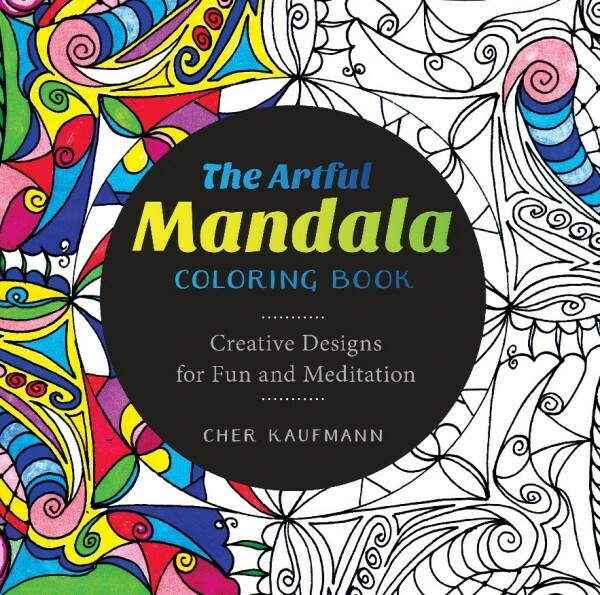 One of these is the brand new book The Artful Mandala Coloring Book by Cher Kaufmann. This book is filled with 100 unique hand drawn, detailed black and white drawings for coloring. Many designs are nature inspired but also a bit abstract so you are free to use any color combinations you’d like, just grab some markers, pencils or even crayons, turn on some music and sit down and have a relaxing time coloring. You can remove the pages from the book (each page is perforated for easy removal) and use them in projects like journaling pages, greeting cards, collage art pieces or scrapbooking pages or keep them in the book. If you leave them in I recommend slipping a piece of scrap paper behind the page you’re working on to prevent any color bleeding onto other pages. The paper in the book is nice and smooth and holds up well to different coloring mediums. For my first coloring page I used alcohol based markers, markers give a nice even coverage with bold colors. For this next page I used colored pencils, pencils are great for shading and softer colors and for taking your time while coloring. And lastly I tried water color pencils for quick and easy coloring. The Artful Mandala Coloring Book is available today and you can find it here on Amazon or check your local book or craft shop. 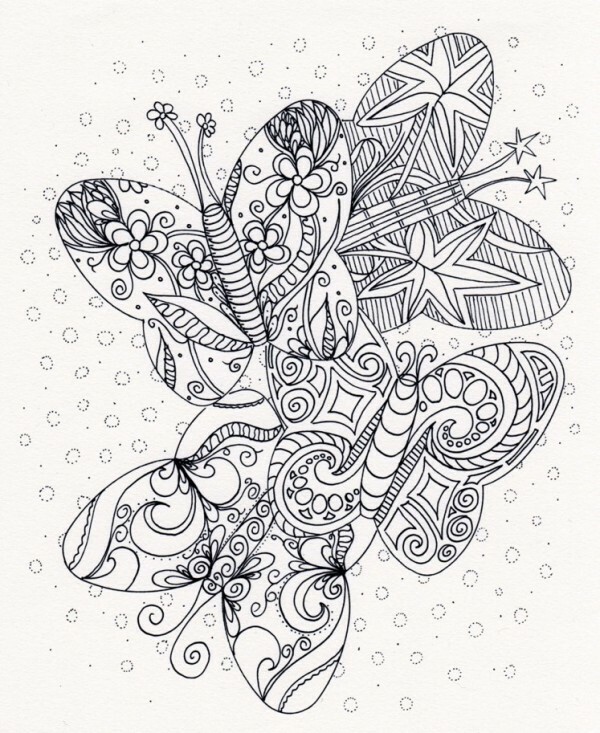 If you’d like to try a lovely freebie page you can download the one below to print and color. And be sure to come back here tomorrow when I’ll be having a giveaway and three lucky Craft Gossip readers will each win a copy of the Artful Mandala! looks like a lot of interesting prints to color. I love Mandala’s. I’ve made copies for my granddaughters to color while they visit. One of them is 11 and very artistic and spent quite a bit of time coloring them. It’s a blast seeing the different color palate’s everyone uses for the same drawing. Love the new adult coloring book craze! And Mandalas are so much fun. The stress relief for many has been wonderful. Some research is showing just opening a box of crayons and smelling the colors is beneficial for stress relief. I forgot how much fun coloring was till my grandson came along! These Mandalas are beautiful! Anne- you just need to right click and hit save for the freebie, there’s no link. Love colouring! I remember my mom colouring in her books when I was young too. 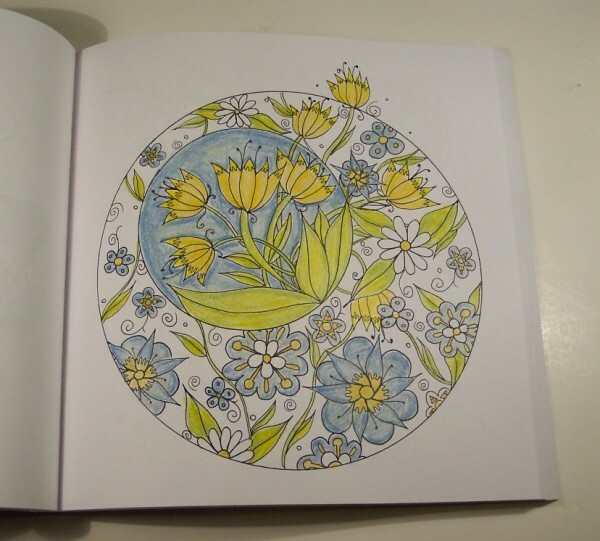 Mandalas are just lovely and relaxing. I’d love to win this book – coloring is one of my favorite things to do! 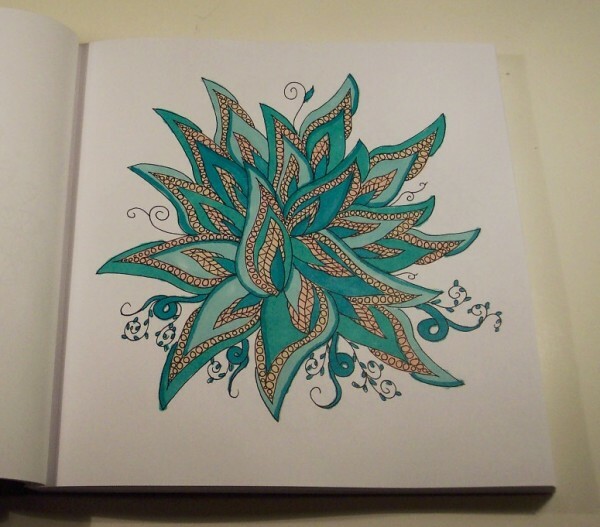 Mandalas are very relaxing to color.